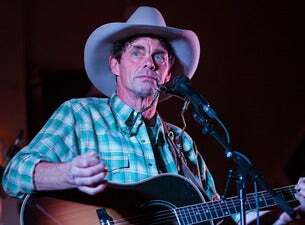 Rich Hall’s critically acclaimed new show Hoedown begins its second leg of touring. There has never been a better time to be an American comedian in the UK. Hall’s precision dismantling of the tenuous relationship between two countries is as freewheeling and deadly accurate as ever. His BBC Four documentaries, most recently Rich Hall’s Countrier Than You and Rich Hall’s Presidential Grudge Match, and BBC Radio 4 series Rich Hall’s (US Election) Breakdown have built him a new legion of followers, as has appearances on Have I Got News for You and QI. But if you’ve only ever seen Hall on TV, you’ve short-changed yourself. The Hoedown begins as a withering dissection of Trump’s America, but ends up being a celebration of Americana. There’s stand-up, improvised ballads, cracking good musicianship, and ultimately a hilarious, foot-stomping, sh*t-kicking good time to be had by all... even if you don’t own a hoe.